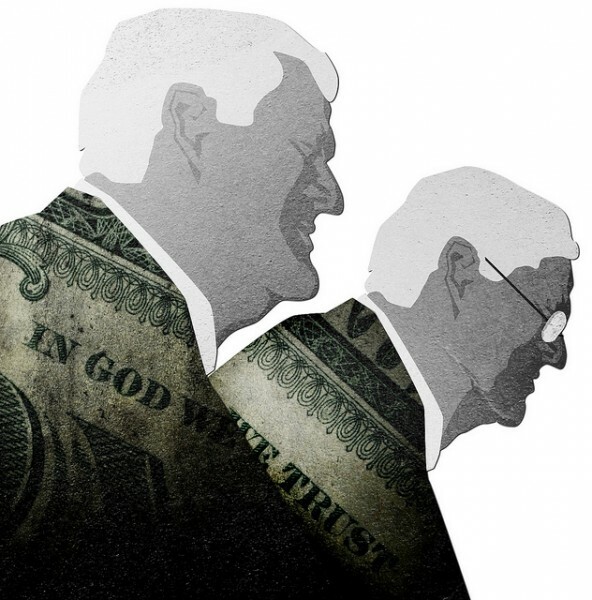 The Koch brothers are oil magnates and billionaire GOP funders. They believe that their great wealth entitles them to rule over the many. For decades, they’ve been running a surreptitious assault on the rules that protect the majority of us from their abuse. From whacking our voting rights to busting unions, their intent is nothing less than to pull a coup on democracy, installing a government of, by, and for the superrich. They’ve enlisted a secretive cadre of other billionaires who share their extreme kleptocratic belief that 1) the property rights of the rich are more important than the people’s political rights, 2) that majority rule is not a good form of governing, and 3) that the “Makers” (as the billionaires dub themselves) should be able to overrule collective actions of the lower classes (whom they call “Takers”). They’ve created a complex, sophisticated web of right-wing front groups that have already corporatized a slew of our most basic laws and institutions, and they’ve gained a chokehold on nearly every level of government (including our courts and whole states like Wisconsin, North Carolina, and Texas). They’ve essentially taken over the Republican Party. Even more shocking than the arrogance of this unprecedented power grab by the conspiracy of billionaires is its quiet success. The Koch Coup crept up on us because it abhorred publicity and couched each move as an independent effort by a separate group. Then the conspirators backed the Supreme Court’s outrageous 2010 Citizens United decision, decreeing that unlimited corporate spending is allowed because it’s “free speech.” Only then did Americans begin waking up to the reality that the Kochs were making an assault on democracy itself. To learn more, check out the extensive Koch web files at the Center for Media and Democracy: www.exposedbycmd.org/koch/. The post A Quiet Conspiracy of Billionaires appeared first on OtherWords.